. :: COF Every Man's Closet ::. This is a texture package for use with Uzilite's M401. 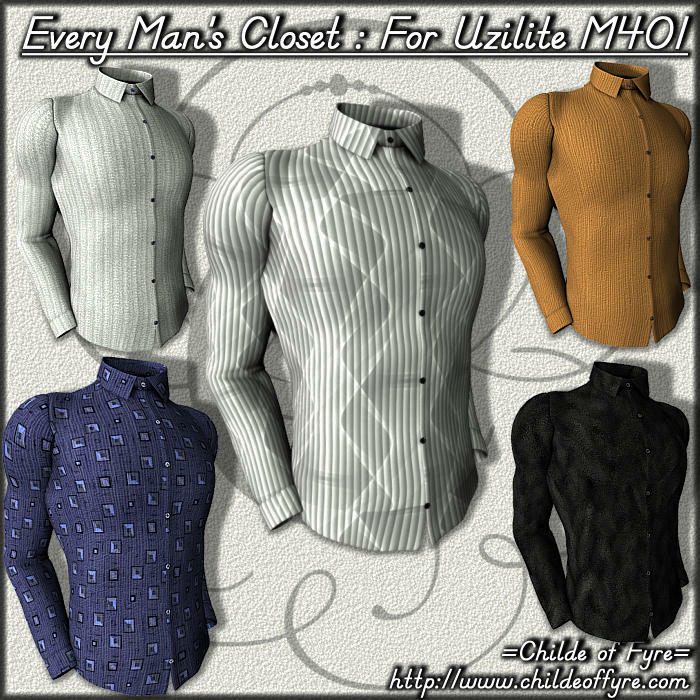 You need to own the M401 clothing in order to use these files. There are 10 full textures for each part of this set. The files were built natively within Poser, so DazStudio users should expect to need to adjust materials by hand. This is a migrating package. I used to sell it over on CP, but after closing my store there, I decided to move it to my freebies. Some parts of it are definitely showing their age, but you might get some use out of it if you still use Michael 4 and happen to own the base clothing package. 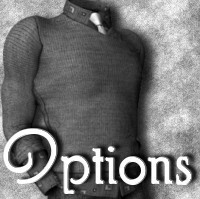 -- MAT Poses to apply all textures and transparency options to the clothing items.